Welcome, thank you for visiting. David A. Axelrod & Associates is a trial and litigation firm. One of the areas we focus on is personal injury, particularly catastrophic injury, medical malpractice and wrongful death. This website is designed to focus on a relatively unknown medical condition known as Reactive Airways Dysfunction Syndrome (RADS). We are one of the few law firms in the country with a thorough understanding of RADS, let alone experience in litigating a case on behalf of its victims. If you or someone you love has been diagnosed with a severe form of RADS, and has suffered catastrophic damage to your health as a result of this condition, contact us as soon as possible for legal representation. We understand what you are going through, and have the level of trial experience, knowledge of the law, resources, and commitment necessary to mount a compelling case on your behalf. And, to help you obtain all of the compensation you deserve. 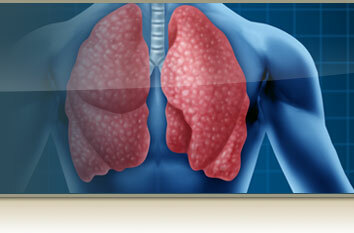 Symptoms of RADS include coughing, wheezing, tightness in the chest, breathlessness, and more. In severe cases, RADS can lead to a difficulty in breathing so pronounced that the victim cannot work or engage in any of the pleasures of life. Severe cases can be resistant to medical treatment and last a lifetime. There are two types of RADS. The more common type, or “classic” RADS, involves a single intense exposure to an irritant, with symptoms appearing within 24 hours. The second type, “low dose exposure RADS,” sometimes called Irritant Induced RADS, results from a series of lower level exposures to irritants. Symptoms may not appear right away. 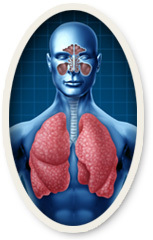 Both types of RADS result in serious respiratory illness that may last years or a lifetime. Proving that RADS was caused by the negligence of another and obtaining compensation in a court of law is exponentially more difficult. As we have mentioned, many substances have been shown to cause RADS. One of the most noteworthy outbreaks of RADS described thus far is among firefighters exposed to irritants during the disaster at the World Trade Center. Nearly 100 firefighters were shown to have exhibited symptoms of RADS/IIA in findings presented in 2002. The criteria for making a diagnosis of RADS have been clearly delineated and are now accepted in the medical community. Scientific advances have made it possible to identify potentially harmful substances once thought safe, and to clearly define and label the precautions that must be taken for their use. All of this means it is now increasingly possible for victims of RADS and plaintiff attorneys to hold manufacturers, distributors and sellers of these products accountable for negligence. But it is never easy. These companies will continue to employ their legions of lawyers to avoid paying compensation. Their tactics include shifting the blame onto others, including the plaintiff; cherry picking cases of doubtful relevance to keep expert witnesses from testifying or to get the case dismissed; and many more. Fighting against these companies and their lawyers can take months, even years, and require an investment of $100,000 or more to put an effective case together and continue the fight in court. This is why we can only accept RADS cases that involve serious injury. To give less than 100 percent is not in our nature, and taking on too many cases would be a disservice to our clients. Losing the ability to breathe clearly as a result of RADS is obviously a significant and life-threatening injury. If you have been diagnosed with a severe form of RADS, you owe it to yourself to seek compensation—and to contact a law firm with experience in this area of the law to fight on your behalf. The trial lawyers at Axelrod & Associates will fight tooth and nail for you, and devote all the time, resources and energy necessary to give you the best chance of success. Your initial consultation is free. Contact us today to discuss your case.